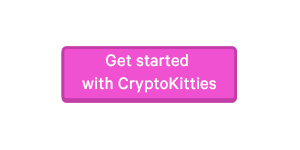 CryptoKitties has raised $12M to make the blockchain purr. Who are these fat cats investing in CryptoKitties? The investment is led by Andreessen Horowitz and Union Square Ventures, two of the world’s top venture capital firms who have also backed companies like Facebook, Twitter, and Coinbase. What are you going to do with all that catnip? We envision a world of play, one without limits. Where ownership is real, and the things you create and discover, you can keep forever. Where games can be entire economies, unlocking mutual incentives for players and builders to extend the gaming experience. Where the world is built by everyone who chooses to be a part of it — especially you. Collect and breed digital cats with CryptoKitties, the world’s most successful blockchain game — built on the Ethereum network.